A common platform and infrastructure for content creation and self-organisation of the community, community goal-oriented gameplay, events and friendship from Alliance players. We are a premier BGS (background simulation) group. Our main focus is supporting Alliance factions in the Milky Way galaxy by promoting them to ruling status of systems. Our members have been instrumental in welcoming hundreds of systems into the Alliance through this process. We support them through all of the available methods, missions, bounty hunting, civil and system wars, selling exploration data and even trade. So if you are looking for mature and well-rounded players working to accomplish good things for the Alliance in Elite: Dangerous, please join us! Our Discord server is located here and there is usually someone that can welcome you! First you must first register on the AEDC forum here. Then read and follow the instructions on the original post of this forum thread. @ALL who are declined: That just means we can't find you at our forum website! The Alliance Elite Diplomatic Corps is an Alliance aligned player group with members from all around the world. As the name suggests, we promote the interests of the Alliance of Independent Systems, one of 3 major factions in the game; the other two being the Federation and the Empire. Alliance space is centred around its capital of Alioth, but with another stronghold around the Lave cluster. Our main area of operations is about half way between those two regions. We also help the Alliance Prime minister Edmund Mahon in powerplay, but our involvement in that is now reduced. In a nutshell, we capture star ports for Alliance factions, we flip ownership of star systems to the Alliance, and we expand our factions in to new systems to expand the influence of the Alliance. We do that by playing the Background Simulation (BGS), a complex mechanism which aggregates CMDR activity in each system to determine new influence levels for the minor factions present there. The BGS can be manipulated to raise or lower faction influence through most game activities. There is a lot of variety to what we do and everything we do makes a long-term difference to the galaxy. Most days, the AEDC Command Centre will have operations for bounty hunting, mission running, trading, exploration, wanton murder, and conflict zones - you decide which operations to be involved with. The Command Centre provides detailed instructions for our militia to follow in order to gain the maximum impact in the time each of our CMDRs has available in-game. Everything we do is carefully thought out. If you don't care to understand the BGS yourself, that's no problem, that part is done for you. If you do like to understand the detail of why we're doing specific actions then our forum or discord server is the place to discuss all of that in the smallest detail. Once your application is approved you will also need to sign up to the AEDC Command Centre. Full instructions are available on the thread. * optional: join us on Discord. Please state your Discord account name on the forum once you joined for the security sake. No duplicate accounts allowed. *XBOX players please take a photo of your Systems Panel (the one that shows CMDR name and Power pledge) and upload that when you post here. After completing the tasks above, an AEDC officer will review your application and if successful, promote your forum account to militia status. That's unlikely to happen immediately, so check back the next day. It's likely you'll have an in-game friend request from the officer who added you too. Also be aware that inactivity for a prolongued period is likely to mean your militia status is temporarily removed for reasons of operational security. Don't be insulted should that happen, simply request re-activation on your return. At long last, though her name has been mentioned curtly in snippets of unofficial communications, our Lady of the Alliance has been at work helping to bring prosperity and freedom to as many systems as possible. There has always been a Victoria at the helm of Wolf Transport & Co. Polite and supporting to her family and employees. The family traces it's fortune back to the days of Victoria Wolf I., when Wolf 406 was a small refinery system in the middle of nowhere. Over generations the consequent accumulation and investment of their wealth has made Wolf 406 Transport & Co the leading corporation in the sector. The switch from refining to High Tech products has paid off in the last two generations, and Wolf 406 Transport & Co is now ready to expand beyond the borders of it's home system. Listed on the Alioth stock exchange and member of the Alioth 1000 Index, the company has been a solid investment for generations. The Victorias have aged for six generations, taken the company to ever increasing wealth, and died. For 5 generations, a successor appeared out of nowhere and claimed the title of First Merchantess, as stated in the testament of the late First Merchantess, and vindicated by a DNA test, desired as a foolproof way of identification. "There has always been a Victoria", say the Wolfs, "and with Victoria we continue to prosper." 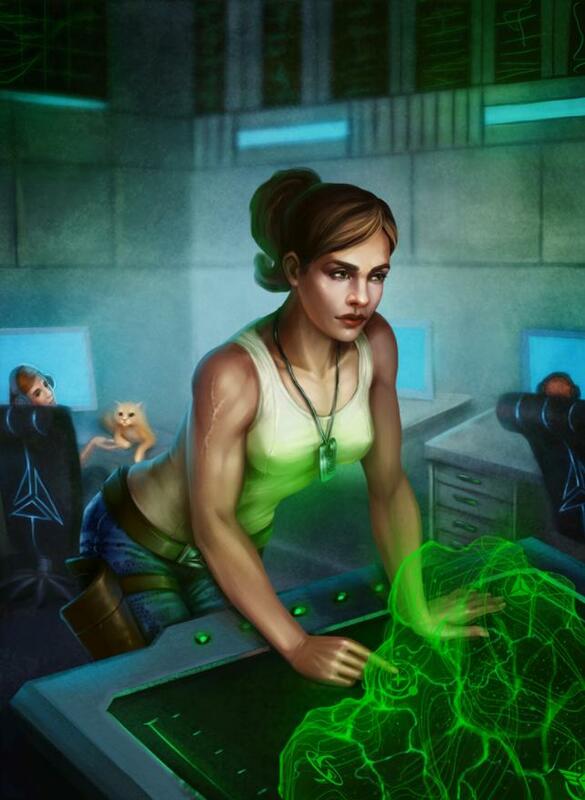 The daughter of an electrical maintenance technician and payroll supervisor in Alioth, Commodore Stone joined the Alioth navy as early as she could. During her tenure she rose through the ranks, but never lost her sense of humor. In fact she conducts herself with an unusual lack of decorum. Sometimes referred to as "Commodore Sweatpants" (before being quickly corrected that "Cargopants" is more appropriate), she is frequently amused by the romantic advances of fresh officers. Usually, such shades of red are reserved for Federation installations. Despite her lack of formality, she is an accomplished strategist and loves "The Art of War" by Sun Tzu. She doesn't believe that the Alliance should seclude itself from the rest of the galaxy however. To her, the Thargoids present an unknown and unpredictable opponent and the Alliance should be prepared by forming diplomatic relations within and without the Alliance. 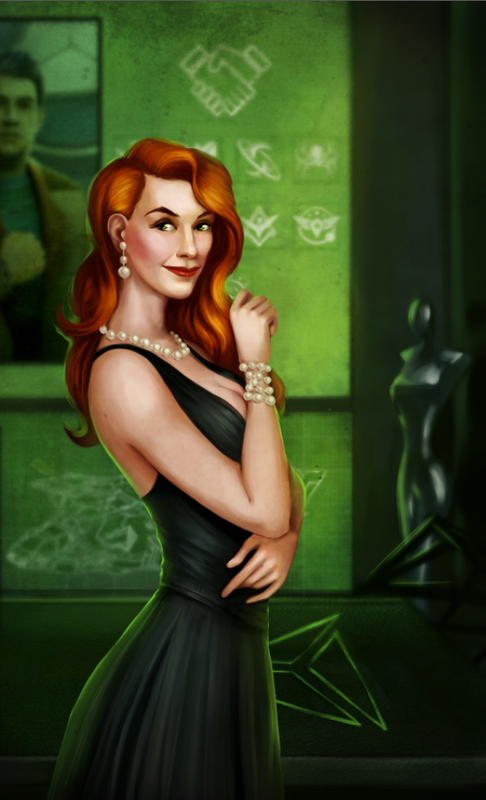 Due to her penchant for diplomatic relations (even aggressive relations when necessary), she was drawn to the Alliance Elite Diplomatic Corps where she currently enjoys a seat on the Board of Directors alongside others like Victoria Wolf VI. In 3301, the First Merchantess and Commodore coordinated Operation Augeas. This strove to rid the system of BD-22 3573 of criminal elements lead by a character who named himself "King Justice II" who had started placing bounties on AEDC members. The operation was a resounding success even though the criminals at first were quite good at hiding, AEDC pilots efficiently flushed out and eliminated the threats. Since then, Commodore Helena Stone has worked with AEDC members to continue expanding Alliance influence throughout civlized space.